Hybrid Electric Drive, specifically SR (Switched Reluctance) technology, is generating a lot of buzz. It's easy to see why, after all, there's a reason why all the major players in the industry did their research and decided to focus on SR electric drive. But Komatsu's history with the technology goes back much further than that. Komatsu's expertise in electric drive earthmoving equipment dates to the 1950s when R.G. LeTourneau Inc. (acquired by Komatsu) began pioneering the application of diesel-electric drive into earth moving equipment. 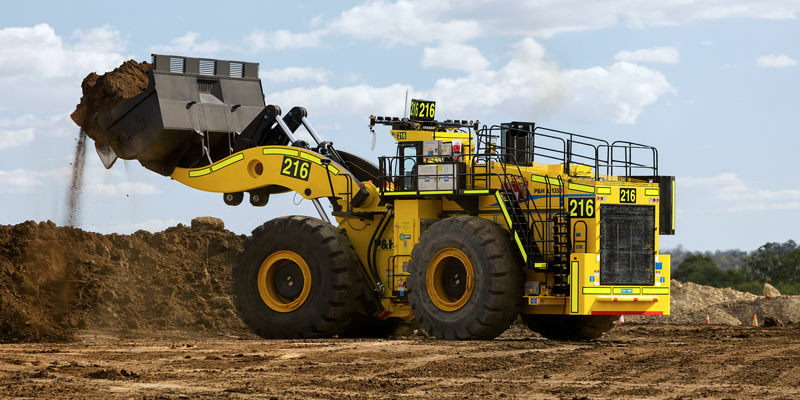 Letourneau recognized years ago that electric drive was very applicable to large earthmoving off-highway equipment and could result in improved production, efficiency, and fuel savings. During the early 1990s, a group of LeTourneau engineers began looking beyond their current DC and AC technology and started focusing on advancing their large electric traction drive technology. The team, much like in the 50s, was focused on improving machine reliability, durability, efficiencies production and cost. While conducting their research, the team realized that Switched Reluctance was the answer. 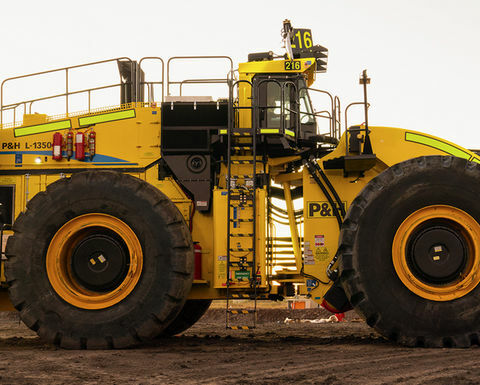 "I'm certain we're one of very few companies with nearly 70 years of research and work in rubber tire earthmoving electric drive," said Mark Barr, Director-Longview engineering at Komatsu. "A lot of these technologies don't evolve, they become feasible due to innovations and forward thinking. The real trick is figuring out how to reliably apply them, especially in very demanding applications like earthmoving. That's where our decades of experience bears fruit." In the mid-1990s, the company began working on the Switched Reluctance technology that is incorporated into the Komatsu's current P&H wheel loader equipment line. By the early 2000s, it had built prototypes. In 2004, the company was ready to launch the technology into new model production. During 2008, it began to transition its entire wheel loader product line to SR Technology. "One of the benefits is it is power dense," Barr said. "An SR motor can put out the equivalent power of a larger one in a smaller package. The rotating portion of an SR motor is lighter, which translates to less stress on the gear train, improving life cycle and duty cycle on components. Additionally, SR effectively has no speed limitations. Compared to other motors, SR has a significantly higher speed capability." By continuing to advance this technology, the company sought to best meet customers' needs for improved efficiency, reduced fuel usage, lower cost per ton and equipment that is rugged and durable enough to stand up to harsh conditions and constant use. SR provides all of that with added reliability to help keep maintenance costs at a minimum. The next evolution of electric drive involves increasing energy storage, which the company has done by creating the KESS (Kinetic Energy Storage System) deep energy storage system to work with its current SR technology. The SR Hybrid Drive system captures and utilizes regenerated energy, reducing a machine's overall fuel consumption by up to 45 percent, a number significantly higher than any other option in the industry. The KESS unit provides a means for deep storage of regenerated energy, which can be used to supplement engine power to enhance machine acceleration, reduce the effects of engine turbo lag and dramatically improve cycle times resulting in fewer diesel emissions. The process to capture the regenerated energy begins when diesel energy is converted to electric energy through an SR generator, which provides power to the motors to make the wheels move. When the operator eases off the accelerator, the demand for diesel stops but machine momentum keeps the motors rotating. At this point, the motors become generators, supplying energy to the KESS system. When the operator hits the pedal again, the KESS supplies the stored energy while the engine simultaneously supplies diesel energy. The result is the equivalent of doubling the engine horsepower. This is performance you can feel. "When we talk about the next level of meeting customer needs, that's what we are doing with KESS," Barr said. "We can take the already low amount fuel we are using with our electric drive technology and apply deep energy storage to boost operating performance. If we boost your performance with KESS, you reduce your gallons per hour while getting more tons for that same gallon." The company's endeavors with SR and KESS quickly proved to be a success. In head-to-head testing, the engineering team was able to use the same size engine as a competitor and burn less fuel with twice the acceleration rate. 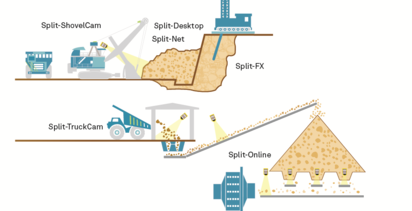 When benchmarked against other machines, Komatsu's SR technology can accelerate to speed in half the time of other machines while moving more tons, providing an incredible advantage. Building on those experiences, the company has developed advanced SR control algorithms to optimize efficiencies in applying torque to the ground, controlling wheel slip to minimize tire wear and significantly reducing fuel burn. 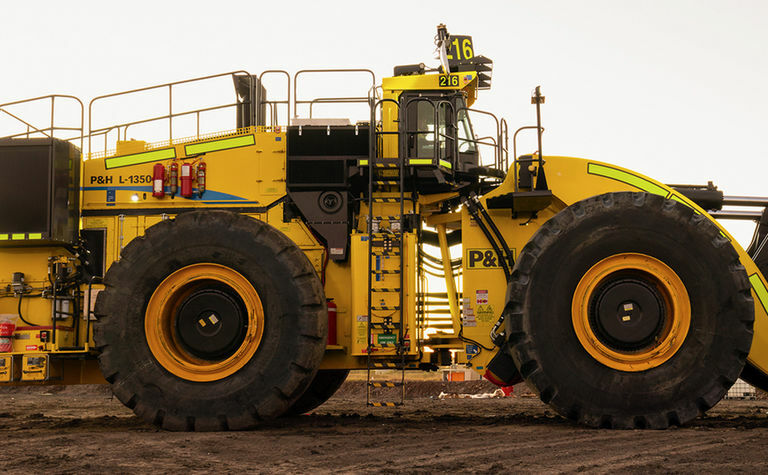 They've also incorporated decades of mining duty traction motor design knowledge to ensure its motor and generator designs are rugged, reliable and up to the task of achieving long life in the tough mining environment. "SR is the future, but it's been part of Komatsu's for a long time," stated Barr. "Everything we did has been built on decades of work and experience. Not only can we offer the benefits others are beginning to scratch the surface on, but we know how to apply this technology and optimize every bit of reliability, fuel efficiency and performance." 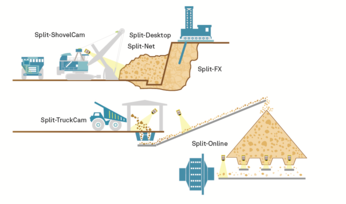 SR technology is a key feature on the company's recent innovations such as the Joy Underground Hybrid LHD and the P&H 2650CX Hybrid Shovel for surface mining.